The Sprague Nurse Kit® is perfectly suited for use by both medical students and healthcare professionals. 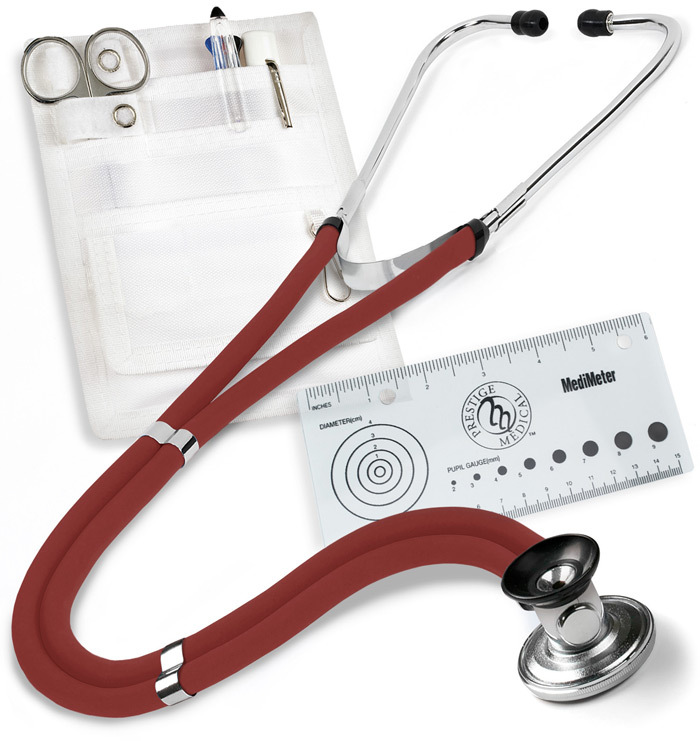 Kit includes a 22" Sprague stethoscope with threaded soft eartips, a full accessory pouch, nylon pocket organizer, Medimeter, 5½" Lister Bandage scissor, three-color chart pen, and a disposable penlight. 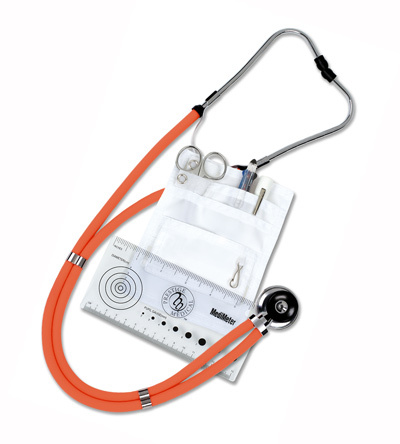 Sprague stethoscope is covered by a Lifetime Limited Warranty.